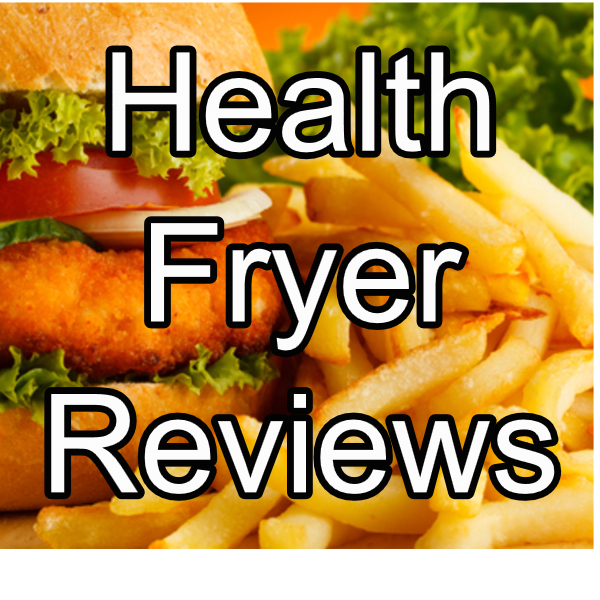 The Tower T14001 Airwave low fat fryer is hard to ignore due to its popularity, value for money and versatility. 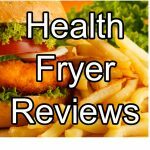 The price point of this fryer means we’ve identified it as a budget option if you don’t have the funds for the premium end fryers, such as the Tefal models. 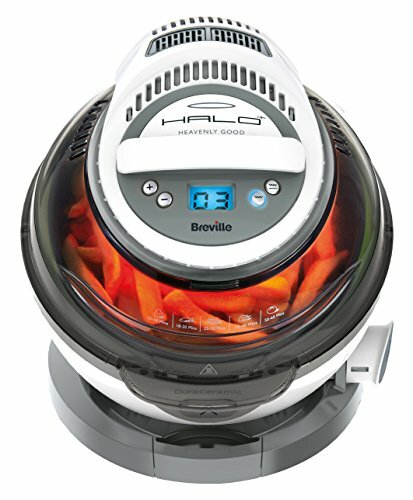 We were amazed at how versatile this fryer is – you can fry, bake, roast, grill and steam with it, making the meal options you can make with it almost endless. Heat is generated using a combination of 3 methods, halogen, convection and infrared, all of which combine to cook food evenly and thoroughly. 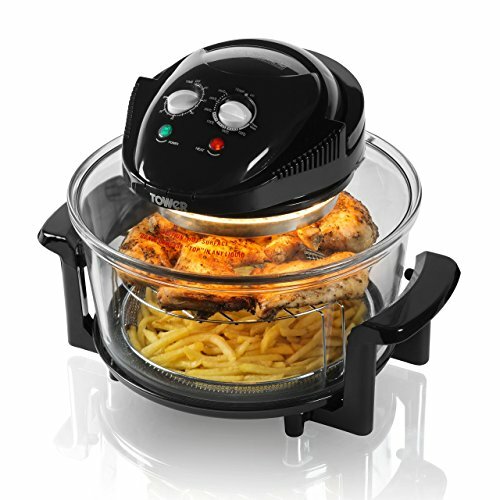 Tower also claim their fryer cooks up to 3 times faster than conventional ovens, although we didn’t put this to the test. 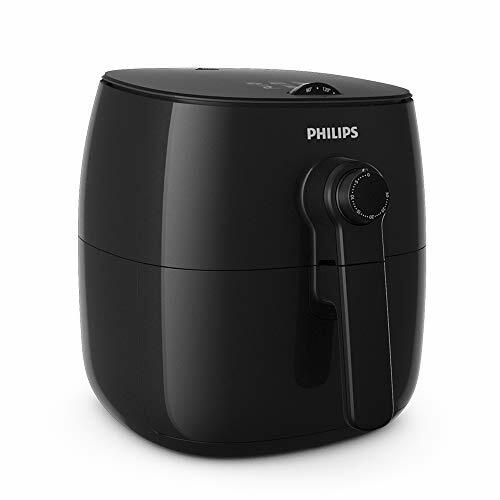 An impressive feature of the Airwave fryer is the extender ring add-on, taking the capacity up from 12 litres to 17 litres, in effect 2 cooking platforms, with separators, giving you plenty of room to cook entire meals with it. 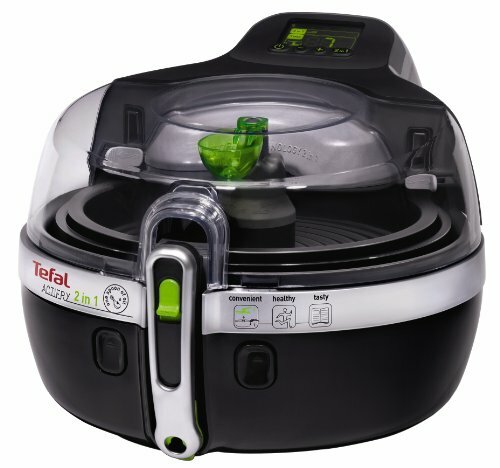 This fryer doesn’t come with a rotating paddle like Tefal and other models do and in our tests, this resulted in some unevenly cooked chips and wedges, although they were rather thick cut. Thin fries would probably cook no problem. One concern we want to raise with this model is the glass bowl. While allowing easy viewing of your food during cooking, the bowl and lid get very hot so if you have children in the house, then consider this from a safety point of view. The lid itself contains the heating element and as it’s not hinged, you have to be careful where you place it due to how hot it becomes. Again, consider the safety of this if you have children around and if worktop space is limited. We would liked to have seen a hinged lid but given the extender ring feature, making this possible would have been a challenge for the designers. Cleaning the unit is easy with the removal parts being detachable and dishwasher safe. 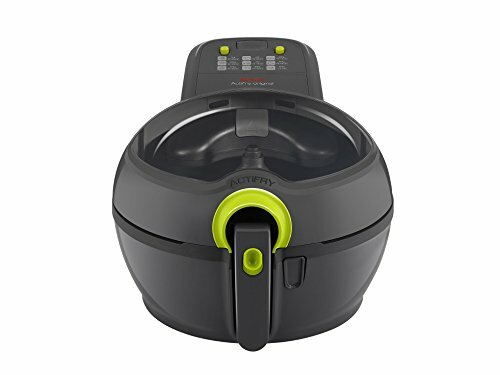 As a budget option, the Tower T14001 is ideal if you want to try low fat cooking for the first time and want a cheap air fryer. 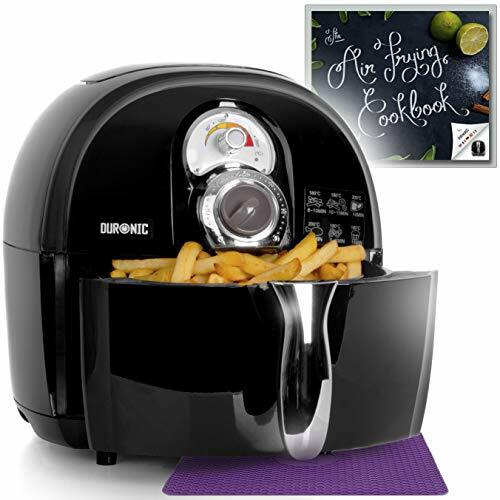 In our opinion, it doesn’t cook as well as other similar priced models we’ve reviewed, such as the Duronic AF1/B but for the price, it represents great value for money and cooking versatility.